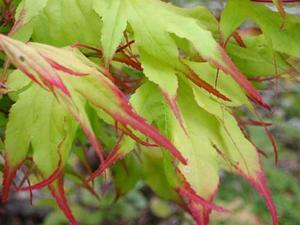 New growth is yellow-green with scarlet leaf tips. Leaves tend to droop in youth, becoming more horizontal with maturity. Leaves turn green during summer and brilliant, orange-red in fall.